Pho this, Pho that... 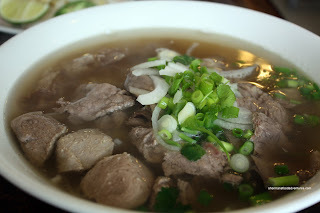 There is Pho everywhere! Yah, everywhere you turn in the GVRD, you're bound to find some Pho. In fact, when I drive home, I pass by at least 5 Vietnamese restaurants. One of which (if I choose to drive that route) is Pho Maxima. Yet another one of those restaurants that I drive past and ignore. It's probably due to the "I will get to it" sentiment. You know, the places that are so accessible, that you end up not eating at ever. Rather, we tend to drive far and wide to eat at places that are either a b*tch to get to or there is no parking (such in the case of Downtown restaurants). It's like taking things for granted. Like Tiger Woods straying all over the place and around North American rather than... Wait, that's a bad example. Anyways, I finally stopped in at Pho Maxima for a late lunch on my way home. Located in a small strip mall, there appears to be sufficient parking. I know it's a pet peeve of mine. Honestly, I'd rather go to a place that has easy parking than one that does not. 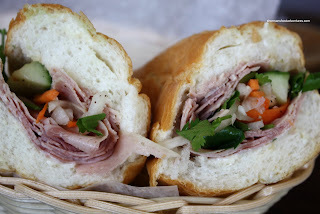 I decided to start with the Cold Cut Banh Mi to start. While not being exactly light and airy, the bread was not as dense as some of the other ones I've had lately. The exterior wasn't as crunchy as I would've hoped though. I liked that there was plenty of meat in the sandwich; however, it appeared to be mostly one type only. One thing that I would've liked to see would be more pickled daikon and carrots. There wasn't enough to give the crunch and tartness I'm used to. Of course I also got an order of House Special Pho (the one with everything in it that is!). After a couple sips of the broth, I noticed that it was very flavourful, more towards the sweet end. I cannot confirm or deny that there was a large amount of MSG in the broth; but I certainly felt the flavour was enhanced by something. The noodles were prefectly al dente while the amount of meat was adequate. A pretty solid bowl of Pho. Much like always, I got a dish for Viv to go as well. 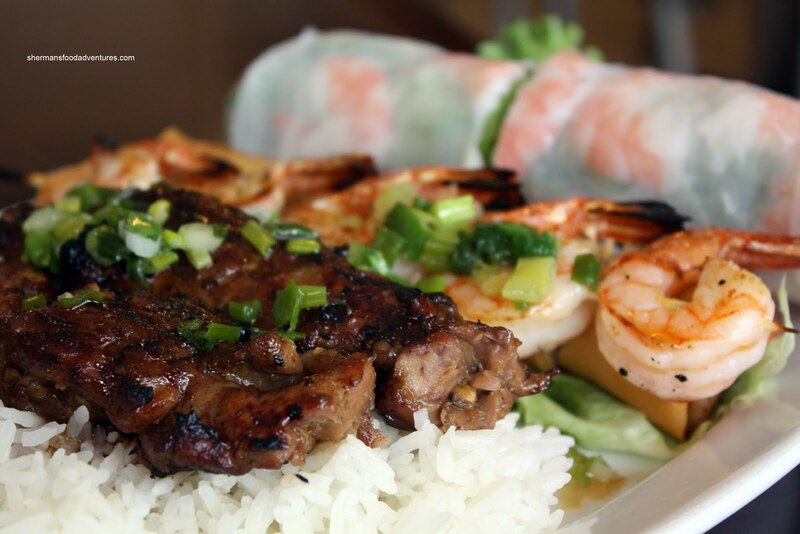 This time being Combo C, which included a skewer of beef, skewer of shrimp, salad roll and spring roll. Once again, I got it plated before I packed it up. Presentation for pictures matter you know! I snuck a few nibbles of her food before I packed it up (shhh...). Both skewers were tasty and cooked properly. However, I wasn't a huge fan of the spring rolls. First, they used a wheat wrapper and second, the filling had too much veggies and vermicelli with very little meat. 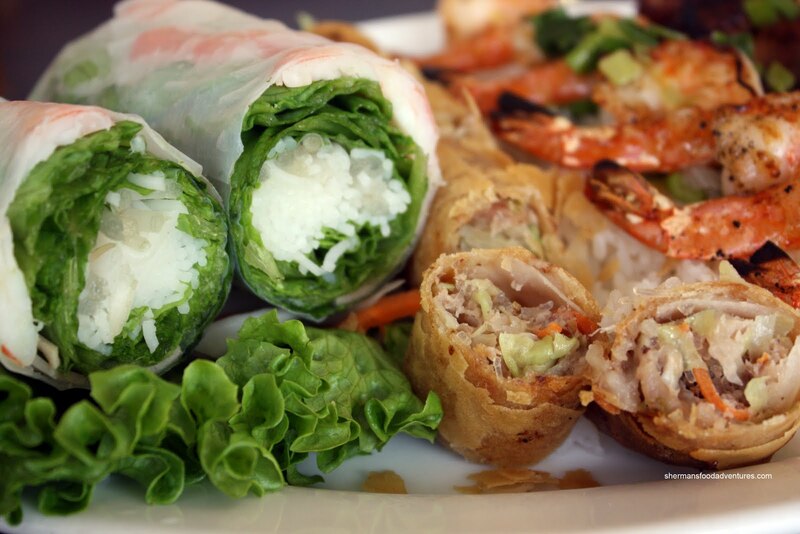 The salad roll was pretty standard though. I dunno. Although the food was alright, it was quite average to me. Pho Maxima can fit the bill if you were in the neighbourhood and wanted decent eats. For me, with so many of these places around, I wouldn't put it high on my list. I just stopped by this place tonight for dinner. Took a few moments for the servers to notice that someone had come in - I was the only customer at the time - but once I was there they were fairly attentive. It seems to be a local spot - they were greeting other customers as regulars while I was there. The pho ga was solid, though seemed to be a bit thin on chicken; it was flavourful, and I didn't notice a lot of salt in the broth myself. I actually quite liked my spring rolls, which were crisp and had nice flavour. I'll definitely be stopping in again to try some of the other dishes. Yah, different people, different tastes, different experiences, a lot of variables. 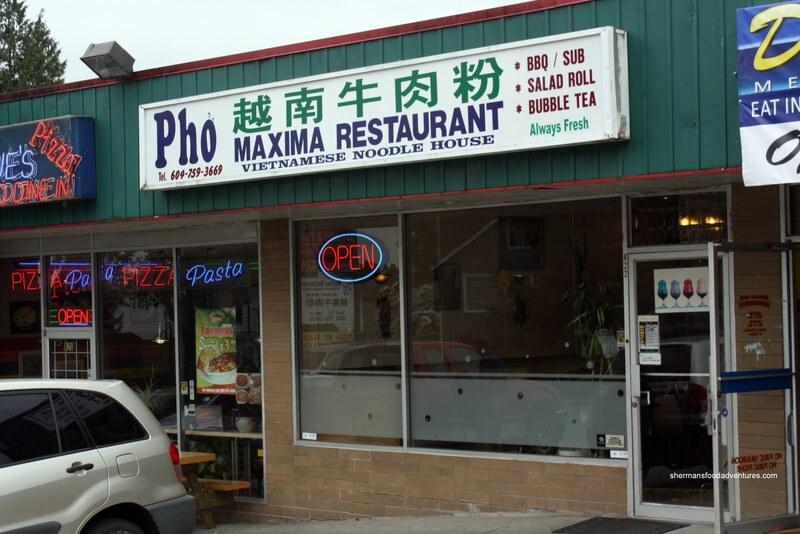 Pho Maxima ain't bad, just not something I'd pick over some other places.